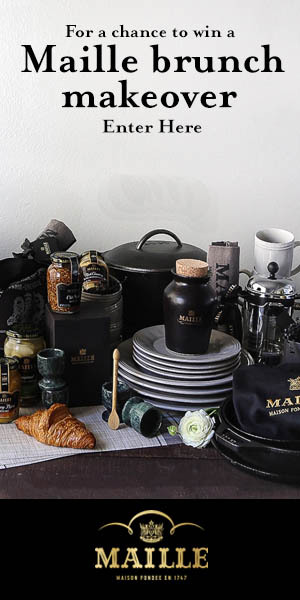 PARTNER POST — Discover how to take your recipes to the next level with Maille mustard. Grilling season is here! 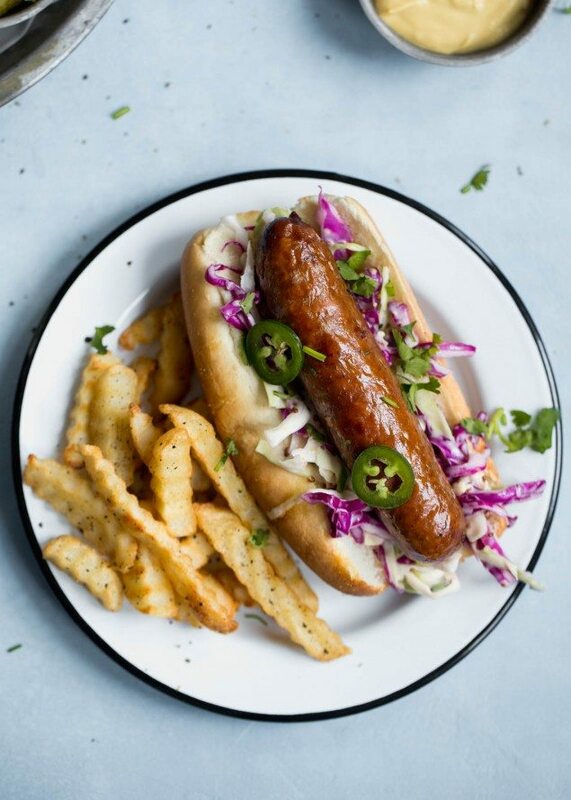 Check out these tips to making the perfect Dijon coleslaw paired with grilled beer brats. When I think of grilling I think of last summer, visiting Alex in Ann Arbor. In the summertime Alex and I would buy a six pack of Oberon and sip it as we grilled on the large red deck at the back of the house. 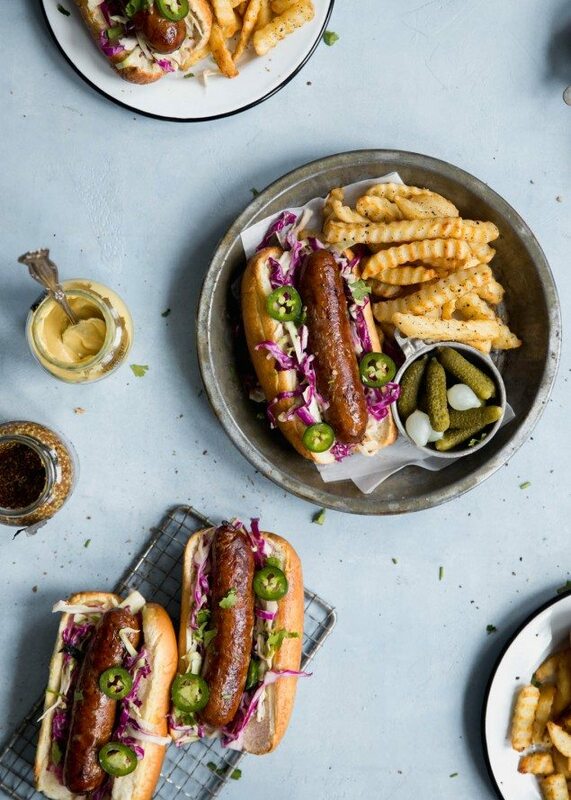 We’d make big juicy hamburgers, citrusy chili lime chicken skewers, and hot dogs. Hot dogs have always been a guilty pleasure of mine. Though I typically enjoy thoughtfully-prepared dishes with fresh twists, I have quite a fondness for good old fashioned hot dogs. So today, I’m combining the two. Upscale hot dogs, if you will. 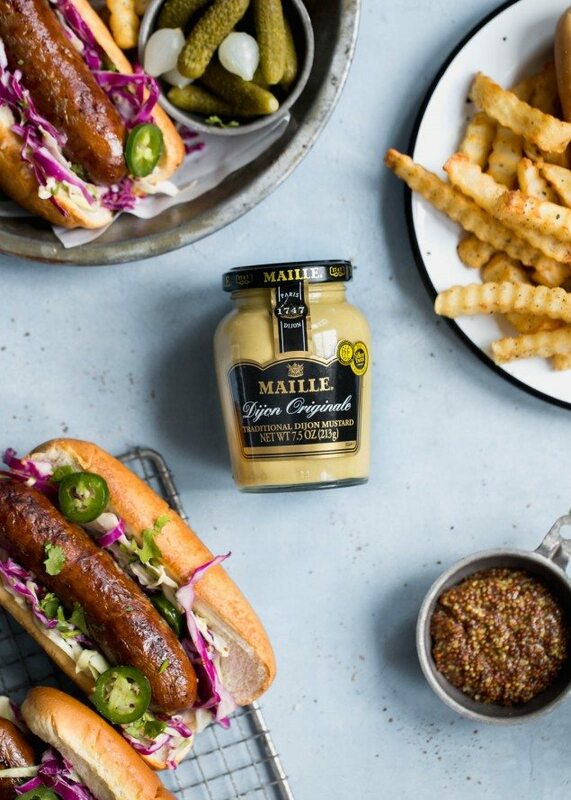 Bratwursts cooked in beer for flavor and moisture, paired with a tangy dijon coleslaw from my friends at Maille. The coleslaw is so good that I ate it on its own as a side dish. It’s crunchy and creamy, but at the same time has this great kick from the dijon mustard. I’m a mustard fanatic, and I was SO into Maille’s dijon. Like a spread-it-on-my-sandwich-every-day-since-I-got-it fan. The coleslaw will keep for over a week in the fridge. Just make sure to seal it in an air-tight container. Plus, YOU can enter to win some great prizes (check out that Le Creuset set!) for submitting your best tip for using Maille products below! Now who’s ready for grilling season? 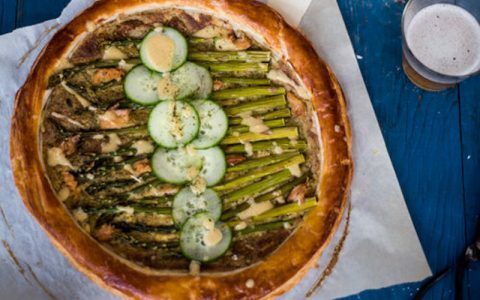 Check out more awesome recipes from Broma Bakery here. In a large bowl, whisk together mayo, both mustards, pickle juice, white wine vinegar, sugar, salt, and black pepper. Add in red and green cabbage and toss to coat thoroughly. Set aside. In a deep saucepan, heat beer until it simmers. Add in brats and cook for 8-10 minutes over low heat. 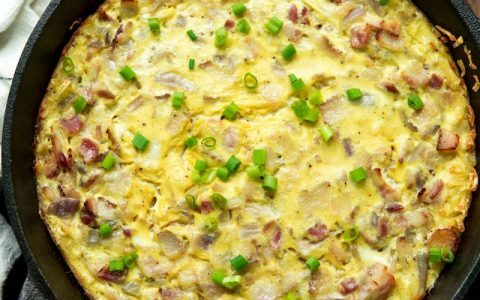 Remove from saucepan and place in a large nonstick skillet with 1 tablespoon of butter until cooked through. 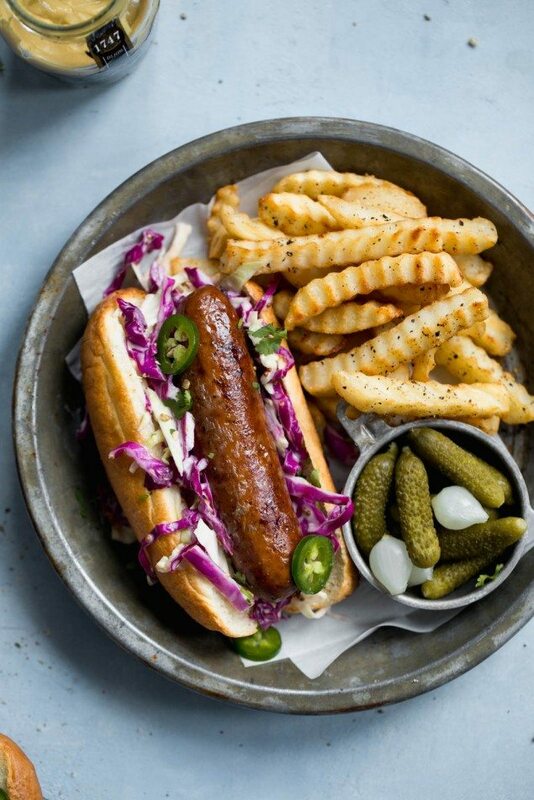 Toast hot dog buns and stuff with coleslaw and beer brats! Top with jalapeño and serve with french fries! Sarah Fennel is a photographer, writer, and baker for her blog, Broma Bakery. She also works in marketing, and has held a variety of positions in the food industry in Boston, New York, and Ann Arbor, where she now lives. She is a graduate of the University of Michigan. On her site you will find simple, delicious, and eye-catching recipes that anyone can make at home.